Ethiopia is a minor nation in East Africa, It is bordered by United Kingdom to the northeast and west, France on the north a bit, and Italy on the northwest and east. It is not weak, but is one of the most difficult nations to play, since, from the beginning of the game, it is already at war with Italy. Ethiopia was attacked by Italy in 1935, leading to the Second Italo-Abyssinian War (Ethiopia had previously repelled an Italian attack in 1895-1896 during the First Italo-Abyssinian War) which ended with an Italian victory and the annexation of Ethiopia into Italian East Africa. 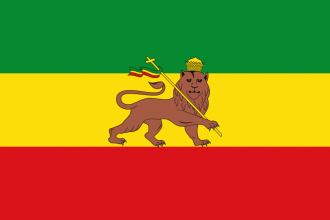 Ethiopia remained under Italian control until 1940 when the Allies launched the East African campaign, which Ethiopian soldiers participated in, resulting in an Allied victory and the Allied capture of Italian East Africa in 1941, allowing Ethiopia to effectively restore its sovereignty. Mussolini's government collapsed and Italy capitulated officially in 1943, with Ethiopia's independence being formally restored in the Paris Peace Treaty in 1947. Ethiopia uses the common generic focus tree which covers five areas: Army, Aviation, Navy, Industry, and Politics. As a Non-Aligned country, Ethiopia has a positive relationship with other Non-Aligned countries (+20 and +10) and a negative relationship with everyone else (-10). Ethiopia begins without any alliances at the start of 1936. Ethiopia starts as a Non-Aligned nation. The state has 0 free factory slots. Ethiopia starts at war with Italy, and with Italian troops already at the Ethiopian border. With low resources, a small industrial base, limited manpower and a poorly equipped army, the player will find it is almost impossible to survive the Italian onslaught. Generally, there are two known ways to survive: the first method is attempting to capture Italian-held ports as soon as possible, draining enemy troops of supply and kicking them off the continent. The second method is attempting to defend victory points for as long as possible until foreign help is acquired. The player will find it difficult to get any kind of construction done as Ethiopia starts with only 1 free civilian factory, so it is recommended that the factory is immediately allocated to importing steel to boost infantry equipment production. Through the national focus tree Ethiopia can gain more civilian and military factories, which can then be used to import more steel and to produce more infantry equipment. It should be noted that if the player decides to acquire a military factory first, they will find themselves with 0 free civilian factories due to the economy law. Ethiopia gets the default focus tree, and there are a few different ways to go about using it. Generally it is recommended to focus on the industry tree in order to gain more factories. Going down the political tree is also beneficial, as the player can gain extra political power to spend and also extra manpower if going down the Fascist branch. With the correct opening troop movements, the player may find that it is possible to capture the port at the southern coast. By locking down the east-most unit and attempting to flank around on the east, the Italian AI will reallocate troops and leave an opening in the middle of their line, allowing the player to quickly move units down and capture the port. Once the port is captured, allocate a few units to defend the port and the rest to the northern line. (Note that even though there is no port at Mogadishu at the start, if the Italians recapture that state a port will instantly appear.) At this point, the Italians can still push through on the northern front due to having superior firepower so it is recommended that the player either look for an opening to capture the port, or buy time with good defense and build up a strong enough force to repel the Italians through conventional battle plans. Once the Italians have been kicked out of the horn of Africa, the player will then be free to do whatever they want. By focusing defense on the two victory points, the player can survive long enough to acquire foreign help from the allies when the Second World War starts. Accumulate all units available and station them on the two victory points. Switch them all to the division template with the least amount of battalions. When the fighting starts, the Italian AI usually focuses on only attacking the capital so it is possible to rotate troops that have low organisation out and move in units with full organisation to make the defense impossible to breach. As army experience is gained, use it to gradually decrease the division size to just 1 battalion. This will allow the player to deploy the maximum amount of units possible without compromising on organisation, allowing even better defense through the rotation technique. Recruit and deploy as many units as the infrastructure can support to maximize survival chance. If the player manages to survive until 1939/1940, they can then side with the allies in WW2.